Republicans in Congress have proposed legislation to make it mandatory for US employers to electronically verify workers’ legal status as a means of discouraging illegal immigration and preserving jobs for Americans. This would be very easy to do using E-Verify, an electronic employment eligibility verification system available free online, which allows employers to quickly identify those working illegally in the United States. House Judiciary Committee chair Lamar Smith (R-Texas) and 11 other Republicans introduced the so-called E-Verify bill, also known as the Legal Workforce Act, which requires employers to use a Homeland Security Department electronic data base to check the immigration status of newly-hired workers. The the measure has a good chance of passing the GOP-controlled House, but its fate in the Senate is far less certain—and then there is Obama, who would most likely veto the bill. Senator Chuck Grassley (R-Iowa) has said the proposed measure would make more jobs available to millions of unemployed Americans, who, he said, are being eased out by undocumented immigrants. Requiring its compulsory use by all employers would weed out illegal workers and open up more jobs for Americans and legal immigrants, Smith added. Opponents of the bill warned the bill, if passed, would have disastrous impact on local industries, especially those in agriculture, and do more harm than good to the US economy. More harm than good? What’s wrong with eight million new jobs for Americans—which is a good deal more than Obama has created by throwing away billions to Wall Street. 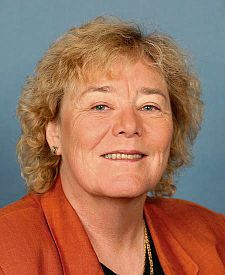 Representative Zoe Lofgren (D-California), a community organizer like Obama, said that by requiring all employers to use E-Verify, the bill grows the government and adds tens of billions to the burden already shouldered by taxpayers. 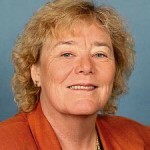 We wonder who is paying Zoe Lofgren? E-Verify is a simple on-line application, and is easy to use. It would certainly not add much, if anything, to taxpayers. In fact, without jobs, a lot of illegals using free taxpayer-paid services would be gone. The San Jose lawmaker stated, Mandatory E-Verify would cause tremendous damage to our economy and kill American jobs.” What is the logic behind that statement? According to supporters of E-Verify, the system — which is already mandatory in such states as Arizona, Alabama and Georgia — is simple, convenient and free. Other detractors argue that E-Verify “is good only on paper and that its full implementation would do more harm” to Americans — unless it becomes part of a broader, comprehensive measure to address the immigration system. Yeah, sure—make E-Verify part of a system that will never happen. Ali Noorani, a whose parents are from Pakistan runs the pro-immigration advocacy group, National Immigration Forum. His group claims that naturalized US citizens are 32 times more likely to be erroneously flagged by the system compared to US-born citizens, resulting in grave injustice. Injustice? If the system errs, it is easy for the person to prove his U.S. citizenship or right to work in the U.S. There are Americans who live in places like Imperial County, California, where Spanish is the main language. They have very little chance of being hired over a Latino. Sure, companies like Wal-Mart have computer systems which allow anyone to apply for a job. My experience is, however, that, no matter what the Wal-Mart computer says, if you are not a Latino, you have little or no chance of being hired—at least in Imperial County.